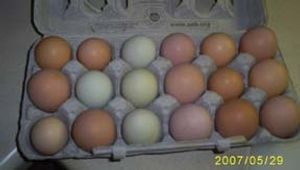 We raise Easter Egger chickens for eggs... We love the different colors (pink, green, blue, brown, tan) you can get, and the size is perfect. 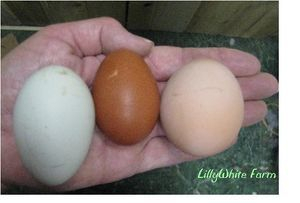 Are the colored eggs healthier? No... but the chicken that can be a true chicken and eat what it wants to and eats naturally does have healtier eggs! Hormone-free! Nature's best! 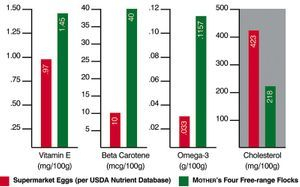 Here's a chart that shows the difference between grocery store eggs and pastured eggs. 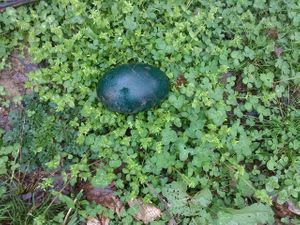 Our hens are free-ranged on pasture and in the woods. This means they get to scratch anywhere they want to find whatever food they enjoy. Seeing eggs in the grocery store that claim their chickens are "vegetarians" always makes me laugh. 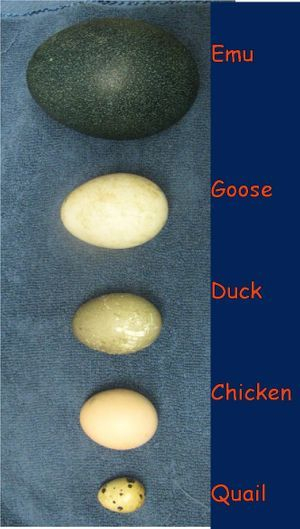 Chickens eat a variety of seeds, grain and proteinn. They love worms and grubs and will chase after bugs. Not a vegetarian in my bunch of girls.